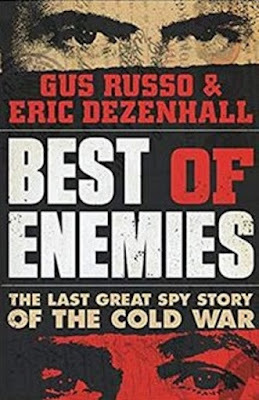 Veteran journalist and author Joseph C. Goulden offers a good review of Best of Enemies: The Last Great Spy Story of the Cold War for the Washington Times. 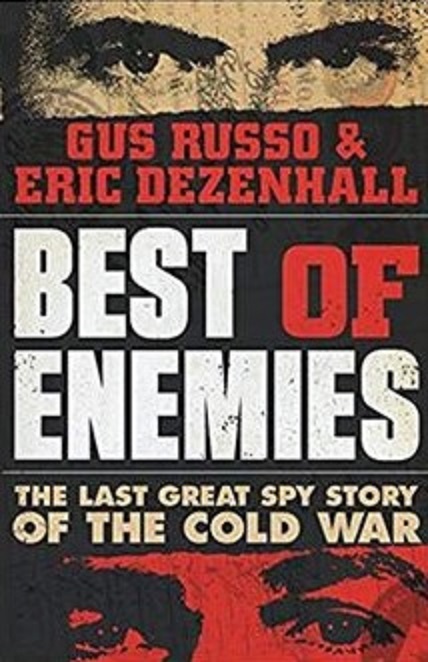 A quiet but deadly game is constantly waged in Washington and environs between CIA and FBI officers and their Russian counterparts. The goal is to persuade the adversary to switch sides in the age-old game of spying. How often do such overtures succeed? Such secrets are safely sequestered in vaults. That such contests could evolve into friendship is perhaps unspeakable. But at hand is a truly remarkable account of one such bonding, with an outcome of international significance — a highly readable work that is headed for Hollywood. At first glance, John “Jack” Platt and Gennady Semyovich Vasilenko were an unlikely match. Born in San Antonio, Texas, Platt served a hitch in the Marines before joining the CIA. His daily western garb earned him the nickname “Cowboy.” A self-described third generation alcoholic, he knocked back 12 to 14 beers daily — plus nips of harder stuff — during a series of agency jobs.